Which visions animate contemporary activism? How to visualize or to contextualize the political imagination of contemporary social movements? How to uncover those utopian aspirations, strategic and/or ideological horizons that too often pass implicitly, silently or invisibly? Inspired by both visual and ethnographic fieldwork about activism, our “Political Imagination Laboratory” aims to explore and interrogate the shifting political imagination of contemporary social movements. 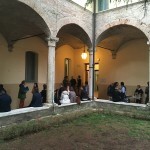 Two Political Imagination Laboratories have been taken place at University of Perugia, Italy. 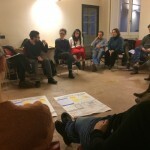 Each “Lab” has invited anthropologists, filmmakers and activists paper to a mix of film screenings, roundtable discussions and work-in-progress expositions. 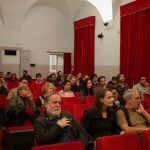 These have been organised by the team of the “Peasant Activism Project” , in cooperation with the network “Anthropology and Social Movements” of the European Association of Social Movements (EASA) and “Controsguardi – International Festival of Anthropological Cinema”. 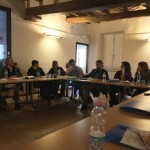 The fragmentation and autonomization of many contemporary political struggles seems to reflect the end of far-reaching alternative political horizons, the end of the hope that an alternative society can exist. What should we do? How should we think? Where can we find inspiration? Yet, these questions remain vital for the contemporary political imagination. The apparent advent of the end of meta-narratives hides the often de-facto naturalization of the neoliberal trajectory as the only possible universal experience. But has the future ceased to be a promise, as common-sense goes? Many contemporary political thinkers conceptualize social justice as micro-political struggles for difference or as the recognition of particular identities; “culture” and “identity” have been transformed in an object of rights and claims imagined as particularist struggles. Along these lines, social science research focuses on power dynamics less embedded in state sovereignty but rather in micro-political dynamics of governmentality in every-day life, biopolitical experiences or infra-political resistance. Thus, universal claims for justice stress more frequently small steps and gradual change, attempting to establish, cultivate and affirm forms of life that offer an alternative, a concrete utopia. Peasant movements for land allocation, indigenous requests for recognition, appear often as an expression of these micro-political struggles over identity politics. At first glance, many forms of contemporary activism seem less concerned with visions of a new society or with the establishment of a new “hegemony” o any kind. Yet, social movements continue to extend the horizon of what can be thought and done. 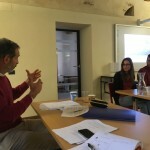 For example, we witness a new wave of neo-rural and peasant movements able to re-invent key-concepts of neoliberal ideology, such as the replacing of the idea of “consumer” with “co-producers”, competition with solidarity as a diver of innovation, and so forth. 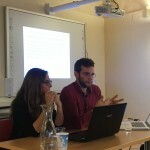 Moreover, the post-anarchist search for autonomy and insurrection poses new questions: The different local expressions of world-wide occupation movements, from the “Indignados”, LGBT-struggles for open identities, Occupy Wall Street to the Tahir-Square gatherings seem partially revtalize ideas of universal justice. Can these tendencies shake the stasis?